The Public Affairs consultancy hbpa supports companies, trade associations as well as institutions with their strategic communication towards governments, parliaments and the public. hbpa creates tailor-made Public Affairs strategies that are based on a thorough analysis of political developments and processes and reflect our customers’ targets and topics. Consequently, we also provide our customers with advice regarding (re-)positioning, issue management and digital transformation. hbpa’s team of policy experts is systematically and continuously observing legislative procedures relevant for our customers. 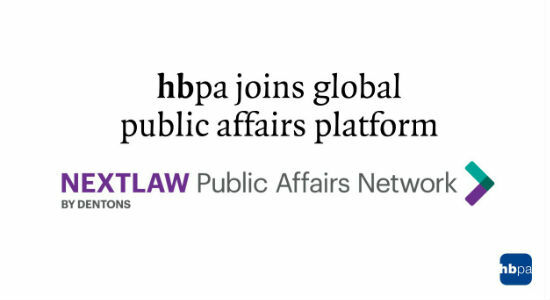 Additionally, hbpa follows opinion-forming processes in the media and the social networks. The results of our monitoring are summarized in customer-specific weekly, bi-monthly or monthly reports which are accessible through a customer-login on this website (test login on request). Crucial for a better understanding between businesses and politics are direct and topical talks. hbpa organizes individual “1:1”-meetings between business representatives and political decision-makers. Additionally, we also prepare and follow-up on these conversations. Focused event formats stimulate the exchange between entrepreneurs, parliamentarians and government representatives as well as the society as a whole. hbpa plans and organizes events of various degrees and thus increases the customer’s visibility in the political space. Important factors that contribute to the events’ success are content relevance and an appealing setting. Innovative formats such as pitches, fish-bowls, etc. Social Media and digital channels have become an inherent part of political communication. In order to be noticed by the digital public and take part in the debates one needs to have a clear Social Media strategy, relevant content as well as a professional appearance. hbpa analyzes the customers’ digital environment and develops target-oriented issue- and posting-strategies for Facebook, Twitter, etc. After an eventful carnival break, the members of the German Bundestag return to Berlin for a new week of meetings. There, the federal government is faced with numerous challenges - while surrounded by speculation as to whether the grand coalition can resolve its conflicts, or whether its failure is only a matter of time. A short analysis by hbpa Managing Partner Dr. Hans Bellstedt. How can the reduction of coal-based energy generation be achieved in a responsible manner? A reply by Dr. Anja Weisgerber, Climate Protection Officer of the CDU in the German Bundestag, to the guest commentary on the same topic by Lisa Badum, speaker for climate politics for the Greens in the German Bundestag. At hbpa we are committed to shape the dialogue between business, politics and society. Together with our clients, we aim to achieve a policy environment that reflects the technological and societal changes of our time. In doing so, we are dedicated to act in an objective, fair and future-oriented manner. hbpa supports its clients with its staff as well as with a circle of independent expert partners. Hans Bellstedt (Dr. phil.) is the founder and managing partner of Hans Bellstedt Public Affairs GmbH. 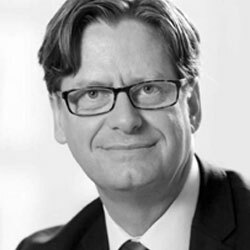 Prior to starting hbpa in 2008, he had founded the communications agency Plato GmbH together with Scholz & Friends in 1999 and managed it until the end of 2007. Hans was a staff member of Christian Democratic Foreign Affairs spokesman Karl Lamers MP from 1990 to 1991, personal assistant to Chambers of Industry and Commerce-president Hans-Peter Stihl (1992-1995) as well as an editor of executive publications at ABB Asea Brown Boveri AG. Open Europe Berlin, Carta and the hbpa-blog. Alina Klein (M.P.P.) works at hbpa as an Account Manager and supports customers with stakeholder mapping, profiling, policy analysis and project coordination. Alina studied European Studies at Maastricht University in the Netherlands and holds a Master’s degree in Public Policy from the Hertie School of Governance in Berlin. She spent two semesters in Spain during her studies. 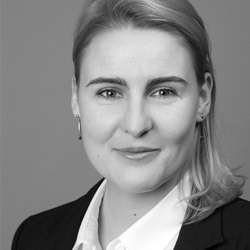 Before joining hbpa, Alina gained professional experience in the political representation of the Allianz Deutschland AG in Berlin, the Volkswagen Group EU affairs office in Brussels and the German Bundestag. Sascha Novoselic (M.A.) is an account manager at hbpa responsible for internet policy and digitalization. He analyses political processes in these fields, drafts reports and background papers and organizes innovative event formats between business and politics. 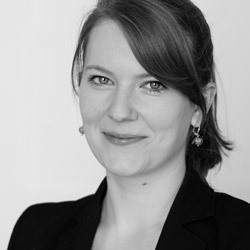 Sascha studied Political Science and Public Law in Erlangen as well as Politics and Public Management in Friedrichshafen. 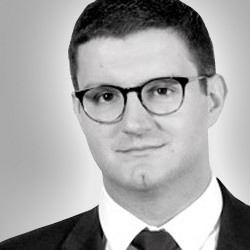 He gained practical experience in the field of public affairs by working at the Berlin office of MSL Germany and in the representative office of the 1&1 Internet AG. He was also an intern at the IT-department of the Federal Ministry of the Interior (BMI). 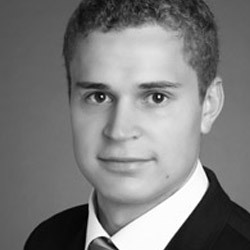 Christopher-Paul Radtke works as an account manager at hbpa. His core policy fields are energy, environmental and general economic policies. Christopher-Paul observes and analyses political and legislative developments about which he regularly edits policy reports for his customers. He drafts background papers on specific topics and designs panels and event formats bringing together business representatives with political stakeholders. After successfully completing his commercial apprenticeship, Christopher-Paul acquired a Bachelor’s degree in Economics and Politics from the Hochschule für Technik und Wirtschaft in Berlin. He gained first experiences in PA and PR at Weber Shandwick before starting at hbpa. Matthias Dold obtained a German-French master's degree in history at Tübingen University and Aix-Marseille University and holds a master's degree in European Studies from Freie Universität and Technische Universität, Berlin. During his studies, he spent a semester abroad in Edinburgh, Scottland. 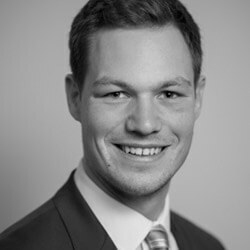 Matthias has gained practical working experience at Deutsche Gesellschaft für internationale Zusammenarbeit (GIZ) and at Germany Trade and Invest (GTAI). At hbpa, he is charged with monitoring tasks, policy research and stakeholder mapping and profiling. Saskia Stedtfeld (M.A.) is a Junior Associate at hbpa. She studied at Maastricht University in the Netherlands and holds a Bachelors’ and Masters’ degree in European Studies with a specialization in Public Policy and Administration. She spent her ERASMUS-Semester at Aix-Marseille University in France. Prior to joining hbpa, Saskia completed an internship at the German Corporation for International Cooperation (GIZ), where she worked on business development with companies and foundations. At hbpa, Saskia is charged with stakeholder mapping and profiling, thematic research and screening as well as project coordination. She also takes care of the hbpa social media channels. 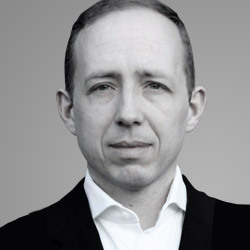 Sebastian Fischer-Jung (lawyer) is hbpa's expert partner for Digital Public Affairs and Political Design Thinking. As managing partner of Digital Public Affairs GmbH (www.digital-public-affairs.de), Sebastian specializes in the field of social media-driven political communication for businesses, associations and institutions. Together with his team, he conceptualizes and moderates Political Design Thinking workshops on the identity and societal responsibility of businesses and associations. 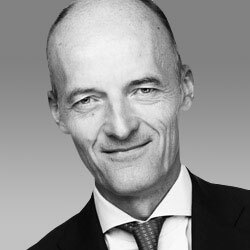 Sebastian Fischer-Jung began his career in 1995 as Legal Counsel at Berliner Zeitung (formerly part of Gruner+Jahr) and subsequently became Publishing and Managing Director of media companies at Hearst-Marquard, Siedler and buecher.de. From 2005 onwards, he led the public affairs units of international network agencies including Plato/ Scholz&Friends and Burson-Marsteller. While studying law and history in Bonn, Sebastian worked as staffer for a member of the Bundestag. 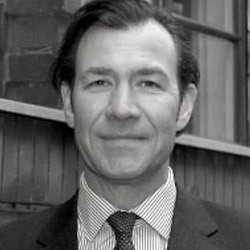 Peter Husen (political scientist) is hbpa’s expert partner for European Public Affairs. As founder and managing partner of Peter Husen Political Solutions (https://www.political-solutions.de/), Peter consults his clients in the areas of digitization, energy, environment/climate and mobility. In the context of joint projects with hbpa, Peter brings in his extended knowledge on European political affairs as well as his experience in the above-mentioned industries. Peter Husen has been working as a consultant and business representative at the crossroads of politics and business for 15 years. During five of these years, Peter was located directly in Brussels, where he advocated his clients' interests vis-à-vis the EU institutions. EU legislation has been a focus of Peter's work ever since. Peter Husen holds a diploma in political science (Otto-Suhr-Institut of Freie Universität Berlin). In the early 2000s, he published the first academic paper, in German language, on the public affairs sector in Germany and Europe. Peter Husen is a lecturer for "International Public Affairs" at the University for Technology and Economics in Berlin. He carries out workshops and lectures on future-oriented topics including digitization and industry 4.0 on a regular basis. Dr. Tobias Weiler is hbpa’s expert partner for Life Sciences & Health Care. Following his studies of political sciences in Tübingen and Hamburg and his dissertation on European science and technology policy, Tobias worked as a business representative for numerous associations within the high-tech industry, including ZVEI, vfa, VDI and SPECTARIS, both in Brussels and Berlin. Given his long-standing experience within associations, he specializes in consulting businesses in the pharmaceutical and med-tech industries on their M&A and sales strategies. Within his public affairs activities, Dr. Tobias Weiler not only focusses on EU policy in the field of Life Sciences and Healthcare but also specializes in international cooperation in the health sector as well as e-health and digitization (including approvals for digital applications, interoperability and the digitization of nursing). Your individual hbpa-Policy Reports can be read and downloaded here. Get access with your personal login data and inform yourself!